Outdoor thermal comfort studies have proved that urban design has a great influence on pedestrians’ thermal comfort and that its assessment helps one to understand the quality and usage of the pedestrian environment. However, the majority of outdoor thermal comfort studies perceive pedestrian thermal comfort as “static”. The dynamic multiple uses of urban spaces and the highly inhomogeneous urban morphology in high-density cities of the tropics are seldom considered, which leads to a lack of understanding about how pedestrians respond to the changes of the outdoor environment. 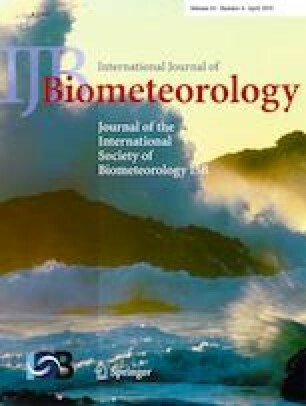 This study contributes to the understanding of the dynamic thermal comfort using a longitudinal survey that was conducted to obtain information about how thermal sensation changes throughout the walking route and how it is affected by micro-meteorological conditions and the urban geometry. The large variations in micro-meteorological conditions throughout the walking routes are predominantly influenced by the urban geometry. Additionally, the spatial pattern of thermal sensation varies based on the weather conditions, emphasizing the need to account for such variations in the assessment of pedestrian thermal comfort. The results also show that thermal sensation was associated with participants’ short-term thermal experience (2–3 min) and that the urban geometry plays an important role in the time-lag effect of meteorological variables on thermal sensation. The findings of this study contribute to improving urban geometry design in order to mitigate the thermal discomfort and create a better pedestrian environment in high-density cities. This study is also supported by General Research Fund, Research Grant Council, Hong Kong (Project code: 14629516).